The death of Steve Jobs last month from pancreatic cancer has left a void in not only Apple, the company he co-founded some 35 years ago, but the technology spectrum in general; a void which will undoubtedly be hard to fill. The release of his first and only official biography, written by Walter Isaacson, was pushed forward upon his untimely demise, and the fact that it looks set to become this year’s best-seller does only but pay homage to one of the greatest innovators of modern times. The book offers the world an unprecedented insight into the real Steve Jobs, not just the business guru he presented himself as. Behind the entertaining keynotes was an often blunt and bitter individual. At home, he was a normal family man – a family without whom he would never have reached the heights he did – starting Apple from scratch and evolving it into one of the world’s most valuable companies. Aside from the book, which is scattered with various accounts from those that knew him best, those that worked alongside him, and others who felt his wrath, there is precious little else that we, as tech fans, can ascertain about his day-to-day mannerisms and what Jobs was really like as a working man. CNN writer Mark Milian adds another angle though, having compiled a collection of extracts from Jobs’ Apple e-mail inbox – many of which have never been published before. 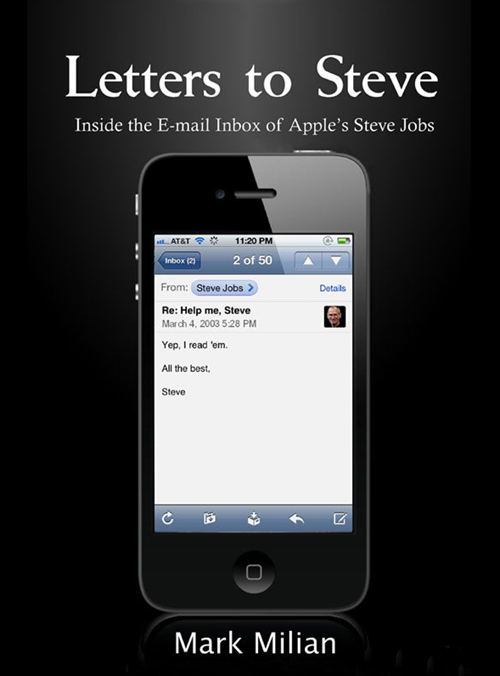 It shows conversations between Jobs and numerous fans and customers, and despite his oft-immaculate public image, it insights some of the truth-bending, insults and misdirection he exercised during his two spells in Cupertino. Apple has an incredible knack for manipulation, or as we would more kindly put it, clever marketing. Jobs was the king of persuasion, and the Milian book shows examples of this throughout. Should certainly make for an interesting read – especially for the many Jobs fans out there, and at $2.99 for the Kindle version, it’s reasonably priced. Let’s hope it’s not a poor attempt to grab a quick buck from Jobs’ death, as can often be the case when a figure of public interest is slipped to the other side. You can download it here from Amazon.